Blockchain in Travel Industry – In the today’s technological era, we are surrounded by millions and billions of digital transactions. These transactions form the foundation of our society, and they’re at the points which are revolutionized by a technology called blockchain. The blockchain is a decentralized database shared across a network of stakeholders where digital transactions are stored and organized in a verifiable, transparent, and secure way. The information added to the blockchain has to be validated by consensus accepted by all parties rather than by one central administrator. So, errors are reduced as there is no single point of control. Each block of information added to the chain is time-stamped ensuring that the information is auditable and traceable at any time. Blocks added to the blockchain can never be removed or modified eliminating the risk of data tampering and fraud. The blockchain is a new technology but it can disrupt the way business is traditionally done. We have investigated the impact it can have on the travel industry. Due to the unstructured data stored in the multiple databases, it becomes difficult for the airline companies and travel agents to manage the inventory seamlessly. Nowadays, travel agents and airline companies have to interact with each other manually to update the inventory of a flight, which is cumbersome and time-consuming. Also, poor visibility of inventory may lead to refunds, overbookings and cancellations. Blockchain can help solve this problem by adding each confirmed booking as a transaction block. Every involved participant can have a transparent view of the inventory, helping them to examine the demand for a specific airline quickly. A traveler who wants to travel from one city to another city, can either book a ticket from the travel agency or airline’s company website. When a person successfully books the ticket, the payment can be deducted automatically from their crypto wallet. Once the booking gets confirmed, a transaction corresponding to it can be added to the blockchain to maintain transparency and traceability. Due to the potential properties of blockchain to offer transparency, it can become possible for the travel agents and airline companies to manage inventory at the same time. 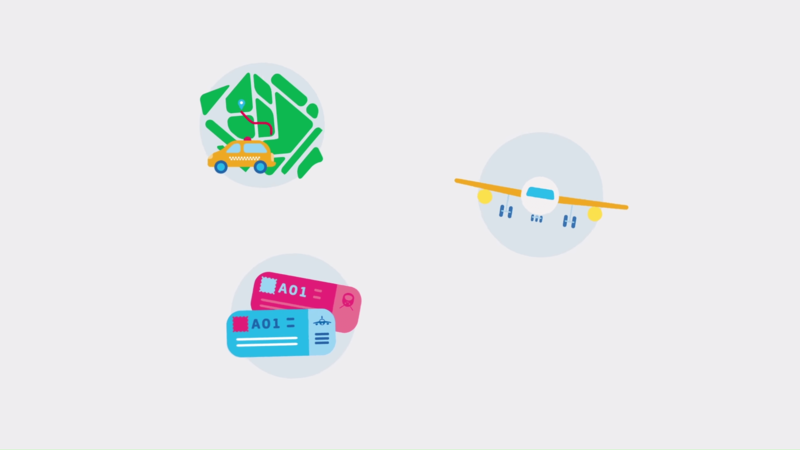 No matter if the ticket is booked via a travel agent or airline company, every stakeholder within the ecosystem can access the updated inventory details from time to time directly through the blockchain. A blockchain-enabled inventory solution can help get rid of challenges like overbookings and cancellations by maintaining a block of transactions for every confirmed booking. Currently, travelers are required to show their ID at multiple stages of the journey. Whether a person has to book a flight, pass security checks, buy something from duty-free shops, or to stay in a hotel, the traveler may need different IDs for multiple purposes. Blockchain could offer a friction-less experience by eliminating the need to share personal or financial information repeatedly. Let’s understand how it could become possible with the help of blockchain. Blockchain enables users to have control over the identity by creating it on their own. Users can sign up on a blockchain-based identification app to upload the personal verification documents and biometric data. The documents and biometrics data uploaded by the travelers will be saved in the distributed storage platforms with their hashes stored in the blockchain. After the traveler updates their details on the app, the verifying companies get a notification on the mobile phone, email or SMS. The verification companies check the profiles and mark them as approved or disapproved. Smart contracts save the profile’s status to the blockchain, ensuring that the user will not have to undergo a detailed verification every time. Whether it is about security check, baggage verification or booking a ticket, a traveler has to go through multiple rounds of verification. But a blockchain-based ID can save a lot of time by removing the need for carrying out numerous documents. It will be a time-saving process for third-parties as well as they can seamlessly verify a traveler by accessing user’s immutable details directly through the blockchain. Another challenge is to keep track of traveler’s luggage as it changes hands from Airlines to ground handlers at airports. Blockchain can allow all parties to exchange information even if they are not in the same alliance or related to the same segment. Storing the real-time information about baggage on blockchain can help all stakeholders trace the information at any time. Read further to understand how it can work. Baggage Handler involved at every step of baggage transfer can save the details such as current location, bag type or current time while adding information on the mobile app. Baggage information will be saved to the blockchain. Because of the features like immutability and cryptographic mechanism, no party other than the individual who added details would be able to modify it. With the help of blockchain, travelers will be able to trace back the baggage information seamlessly. Smart contracts can control what information should be displayed to which individual. Time-stamped data recorded on the blockchain will enable travelers to track the entire history of the baggage transfer. Blockchain has the potential to make traveling secure, transparent, and simple. Blockchain-based travel platforms can offer profits to the travel market by connecting users with the travel service providers avoiding aggregators and intermediaries. If you are finding the right blockchain development company to build a blockchain-based travel solution, contact us and tell us your requirements. Akash has built over 100+ digital platforms used by millions of consumers. Akash is a core member and ambassador of Hedera Hashgraph and Hyperledger. Akash has invented a reverse geocoding algorithm used by Uber and Twitter. 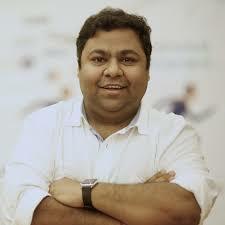 Akash is a technical architect and has been a consultant to McKinsey, 3M, Simens and Hershey’s. Akash holds a masters degree in computer applications.